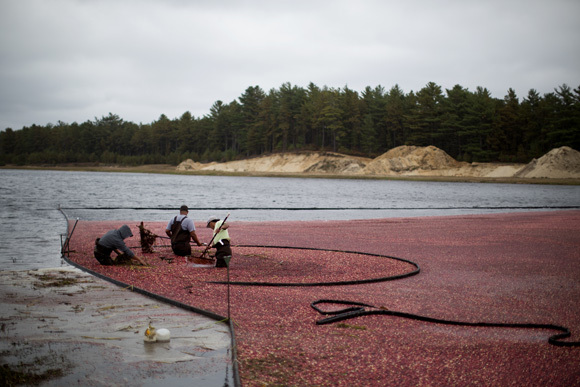 Workers gather cranberries in a bog for harvest during the AD Makepeace Company's 10th Annual Cranberry Harvest Celebration in Wareham, Massachusetts, USA. 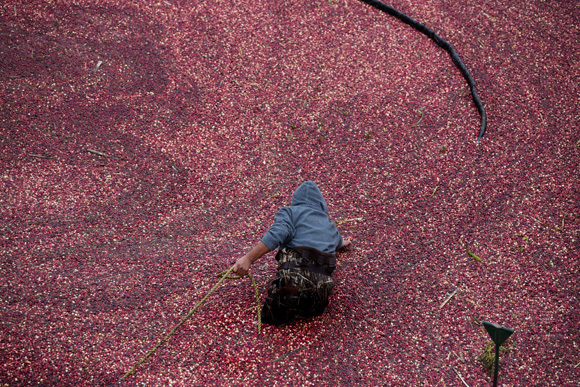 AD Makepeace is the world's largest producer of cranberries. 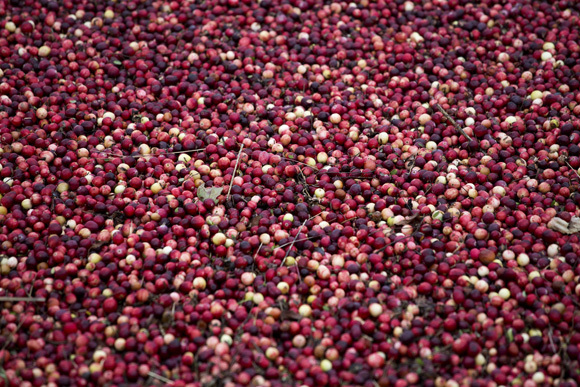 These cranberries, wet harvested with varied colors, are destined for processing into juice, flavoring, canned goods and other processed foods. Cranberries float in a bog waiting for harvest during the AD Makepeace Company's 10th Annual Cranberry Harvest Celebration in Wareham, Massachusetts, USA. 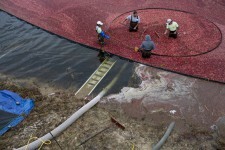 AD Makepeace is the world's largest producer of cranberries. 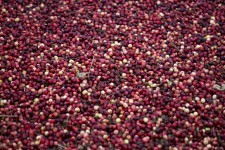 These cranberries, wet harvested with varied colors, are destined for processing into juice, flavoring, canned goods and other processed foods. 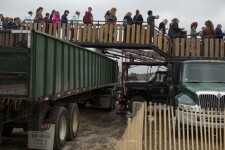 Tourists watch as workers harvest cranberries during the AD Makepeace Company's 10th Annual Cranberry Harvest Celebration in Wareham, Massachusetts, USA. 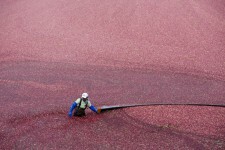 AD Makepeace is the world's largest producer of cranberries. 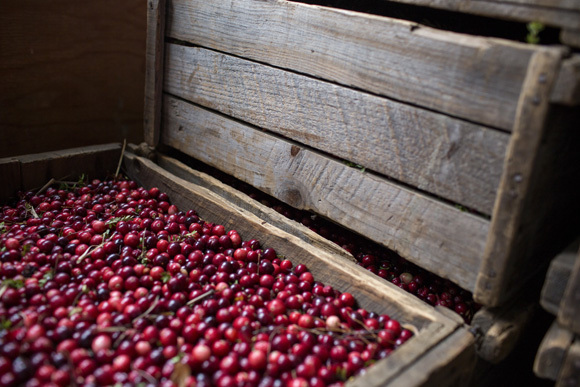 These cranberries, wet harvested with varied colors, are destined for processing into juice, flavoring, canned goods and other processed foods. Food vendors sell snacks during the AD Makepeace Company's 10th Annual Cranberry Harvest Celebration in Wareham, Massachusetts, USA. 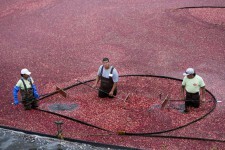 AD Makepeace is the world's largest producer of cranberries. 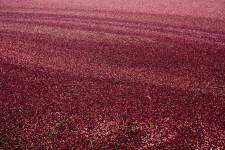 These cranberries, wet harvested with varied colors, are destined for processing into juice, flavoring, canned goods and other processed foods. 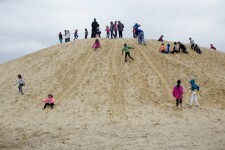 Children play on a sand dune during the AD Makepeace Company's 10th Annual Cranberry Harvest Celebration in Wareham, Massachusetts, USA. AD Makepeace is the world's largest producer of cranberries. 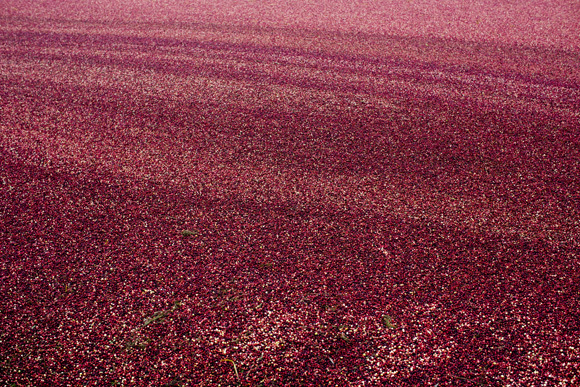 These cranberries, wet harvested with varied colors, are destined for processing into juice, flavoring, canned goods and other processed foods. 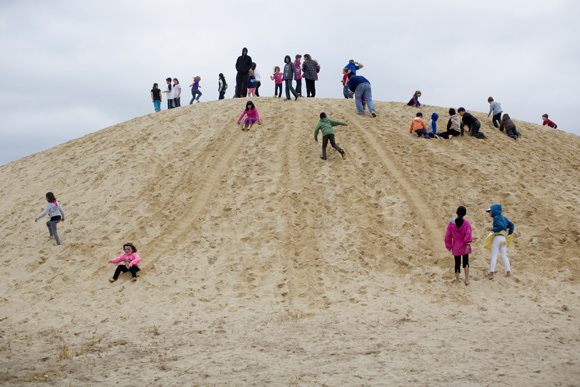 The sand is used to maintain root structure in cranberry bogs. 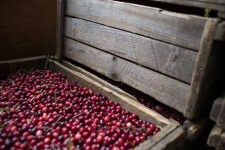 Cranberries wait in wooden boxes after harvest during the AD Makepeace Company's 10th Annual Cranberry Harvest Celebration in Wareham, Massachusetts, USA. 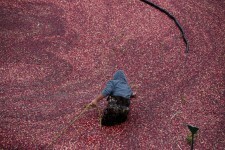 AD Makepeace is the world's largest producer of cranberries. 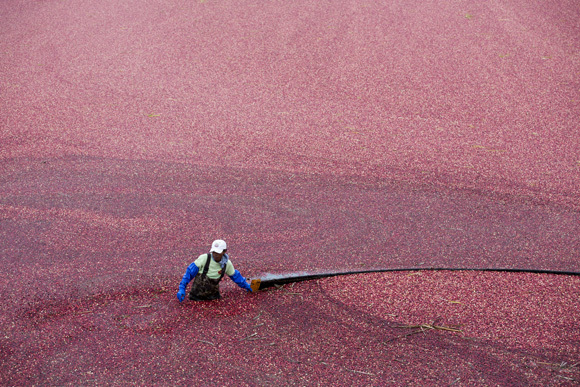 These cranberries, wet harvested with varied colors, are destined for processing into juice, flavoring, canned goods and other processed foods. 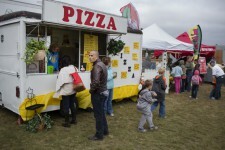 The Cranberry Harvest Celebration at the farms of AD Makepeace has been going for 10 years. 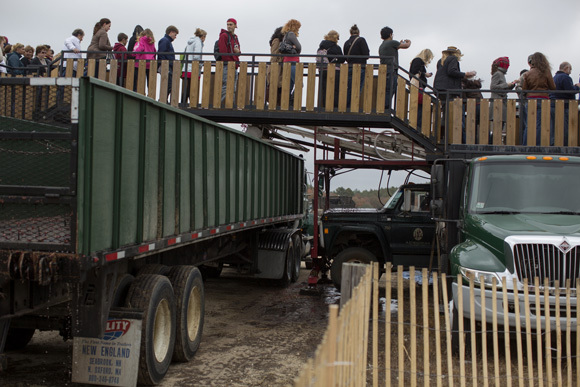 People gather to watch workers harvest cranberries from flooded bogs. 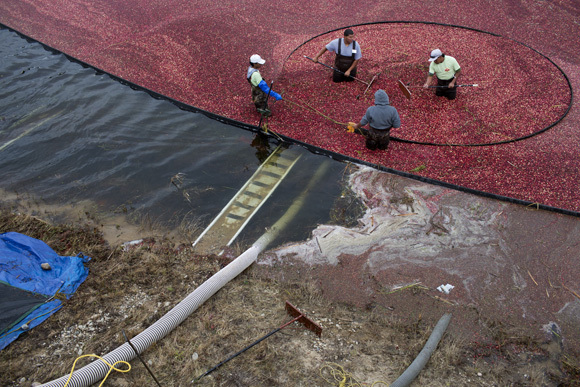 Speaking with the workers, I learned a couple interesting facts: the cranberry plants in bogs have very high yield, but their product goes only to processed foods, not the bags of fresh cranberries you see in a grocery store; the plants on a cranberry farm might be as old as 100 years; and cranberries straight from a bog taste pretty good.